The job market for recent MBA graduates has changed dramatically. A recent article in Business Week (MBA Jobs: For Some, a Waiting Game) described how some firms are delaying start dates for MBA hires. Job offers, and even interviews, are hard to get. One of the hardest hit MBA majors has been finance. 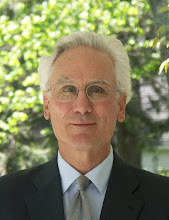 Business schools are good at teaching traditional corporate finance skills, mostly focused on valuation - cost of capital, discounted cash flow, optimal capital structure, etc. However, with the recession and pull back in capital market activity, not only has the number of finance jobs come down, but the skills needed for the remaining jobs have shifted. While traditional investment banking functions (think mergers and acquisitions, initial public offerings) have pulled back, the focus has shifted to the debt markets - analyzing, structuring, trading and investing in corporate bonds and loans. Most large commercial and investment banks have multi-week entry level training programs for their new MBA hires. These programs include credit training - how to analyze and quantify credit risk, and how to structure debt products that satisfy a borrower's financing needs. Some business schools are now bringing portions of this training to their finance students to help them prepare for the debt-focussed jobs in today's economy. For example, Financial Training Partners (www.fintrain.com) recently delivered a four-day "boot camp" on credit analysis, products and structuring at a top rated business school. Students were able to develop and hone their credit skills, and learned to speak the language of debt arrangers, issuers and investors - just what they need for interview season. In How the Mighty Fall and Why Some Companies Never Give In, Jim Collins lists five stages of corporate decline. We used them to analyze Xerox in our last post. Collins uses behavioral terms to describe how companies falter, not financial measures. We have a framework for analyzing troubled companies that complements Collins’ approach. It focuses more on financial measures than management behaviors. Ours is a tool for evaluating the symptoms, while Collins’ explains the cause of the disease. Our financial framework for analyzing a company in decline has five stages. Stage 1: Prosperity. A company in this stage is thriving. Sales growth, profitability, and cash flows are all very strong. Liquidity is very high, and leverage is below average for the industry. Stage 2: Stability. In this stage, sales growth, profitability, and cash flows are strong. Liquidity is high, and leverage is about average for the industry. Stage 3: Difficulty. Sales growth, profitability, and cash flows are decreasing. Liquidity is low, and leverage is above average for the industry and increasing. Stage 4: Distress. Sales growth, profitability, and cash flows are negative. Liquidity is very low, and leverage is very high for the industry and increasing. Stage 5: Default. Companies in this stage have the same characteristics as Distress. But because they have missed a debt payment, they are in some form of financial reorganization or liquidation. Xerox is a good example of a company going through most of these stages. Let’s take a look at some key measures as Xerox goes from stability in 1999, to difficulty in 2000, and to distress in 2001. 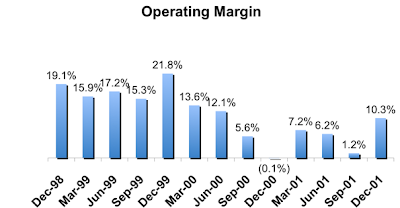 Xerox’s operating profitability varies some through 1999, but it’s basically stable. In 2000, the trend is much worse, and margins contract in every quarter, ending in a loss – a clear case of difficulty. In 2001, profitability improves on the strength of radical cost cuts. But it remains low, and Xerox remains in difficulty. 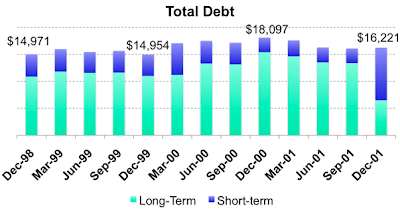 Xerox’s debt is stable in 1999. But it increases sharply in 2000 to fund the decline in profits – a sign of difficulty. Although debt decreases in 2001, it shifts from 30% short-term at the beginning of 1999 to 60% by the end of 2001. That is a strong indicator of distress. 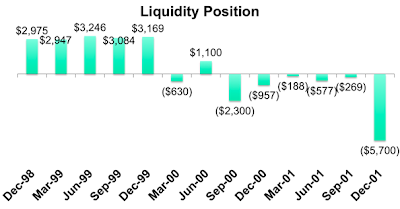 Liquidity shows a fall from adequate levels in 1999 (stability) to inadequate levels in 2000 (difficulty). By the end of 2001, it’s reached a dangerously low level (distress). Here we define liquidity position as cash and available committed credit lines less short-term debt and the current portion of long-term debt. We call these five stages the Company Risk Cycle. Comparing the trends in a company’s performance and finances to the Company Risk Cycle gives you a way to anticipate what could happen next. It gives you the early warning signs of credit problems. Of course, decline is not every company’s destiny. Economic and industry cycles come and go, and companies get worse and better as they do. And companies in trouble on their own often solve their problems and turn around the way Xerox did. Jim Collins is among the best researchers and writers on management effectiveness working today. He’s turned his attention from how companies succeed to how they fail. In his new book How the Mighty Fall and Why Some Companies Never Give In, Collins describes five stages of decline. Stage 1: Hubris born of success. Success seems automatic, practically an entitlement, and management blinds itself to threats in the market and weaknesses in the company. Stage 2: Undisciplined pursuit of more. Without the right resources, leaders chase after more scale, more growth, more acclaim, more of whatever they see as "success." Stage 3: Denial of risk and peril. Leaders dismiss the negative, exaggerate the positive, and put a positive spin on the uncertain. They blame external factors for setbacks instead of accepting responsibility. Stage 4: Grasping for salvation. When the company goes into a sharp decline, it looks for simplistic solutions -- like a visionary leader, a bold new strategy, a blockbuster product, or a big acquisition -- instead of getting back to basics. Stage 5: Capitulation to irrelevance or death. Successive setbacks sap competitive strength, the most capable people leave, and costly false starts sap ﬁnancial strength. Collins cites Anne Mulcahy’s turnaround at Xerox starting in 2001 as the counter-example to decline. She saw the company’s problems with unflinching clarity, shut down weak businesses to focus on strong ones, and cut costs in spite of the pain. She also restructured the company’s finances, narrowly avoiding bankruptcy. Xerox may be a case in point for never giving in, but it is also a good example of how a company gets into trouble. In fact, it follows Collins’ stages of decline quite closely. Stage 1: Hubris born of success. Xerox created the copier industry, and thanks to its vaunted technological prowess and its famous sales force remained the leader through the mid-1990s. But the large-corporate market became saturated, Xerox was the high-cost producer, and more efficient rivals began eating into its market share. Stage 2: Undisciplined pursuit of more. Rather than overhaul its cost structure and cut prices, Xerox tried to grow its way out of trouble by introducing digital copiers and expanding into printers and small copiers for the small-office and home-office markets. Stage 3: Denial of risk and peril. Sales growth and profit margins began to shrink. Pricing for digital copiers proved to be much weaker than Xerox expected, and competition in printers and small copiers was ferocious. Xerox blamed economic problems in Russia, Brazil, and parts of Asia instead. Stage 4: Grasping for salvation. When growth and profitability fell even more, Xerox’s solution was to bring in Rick Thoman from IBM as CEO. His new strategy was to change from selling copiers to consulting on document processing, and he reorganized the entire sales force to that end. To meet earnings targets, senior managers began manipulating the revenue and expense accounts. Stage 5: Capitulation to irrelevance or death. Thoman also tried to cut costs, but at first the cuts created more inefficiencies than they corrected. Inventories shot out of control, and problems consolidating billing centers caused receivables to balloon. Because of the company’s bad accounting, the Securities and Exchange Commission refused to allow Xerox to issue any securities. As its funding dried up, Xerox ran out of liquidity and had to sell assets and renegotiate its bank lines in order to survive. Collins looks at decline from a management perspective, but his framework is useful in risk analysis as well. The management mistakes that lead a company to Stage 5 can have dire financial consequences, as they did at Xerox. In our next blog entry, we’ll take a look at a framework for anticipating and evaluating the financial aspects of a company in decline.